We’re hosting six live pitch events this year. For more information on these pitch events, check out our guide to live events. The full submission window for pitch events will take place from Tuesday, February 5 to Thursday, February 7. Submissions will be received in specially-designated threads in our WriteOnCon forums. You will need a forums account to post your pitch, but they’re free to sign up! 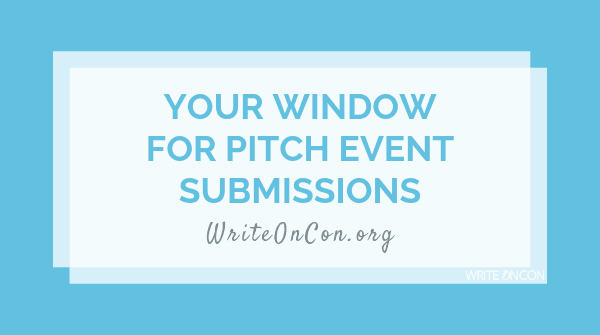 Each pitch event’s submission thread will be open for only 24 hours, three days before the event. So the submission window for events taking place on Friday, February 8 will be Tuesday, February 5; pitches for Saturday, February 9 will be accepted on Wednesday; and pitches for Sunday will be accepted on Thursday. Each pitch event’s exact submission window and instructions are posted within its designated submission thread on the forums, or can also be found in our guide to live events. We will not be able to accept late submissions, so make extra sure to read all instructions and times carefully! Then pitch away! Good luck to everyone!